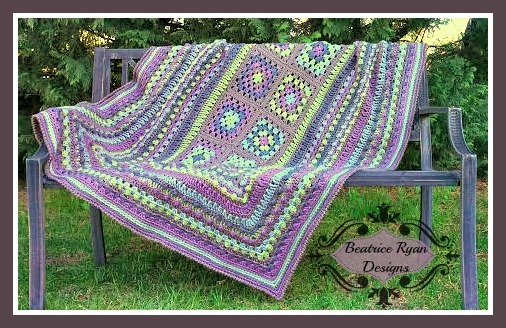 Beatrice Ryan Designs Crochet-A-Long Finale!!! Don’t miss out on today’s Finale!!! At 5pm EST on Facebook we will be having our final Show and Tell!!! If you participated you can post your picture of your completed afghan to the Show and Tell Post or Email it to me. All final pictures must be posted or emailed by Midnight tonight to qualify for the giveaway. How would you like to win a $25 gift card for JoAnn’s?? Here is how you can win…. 1. Make the Beatrice Ryan Designs CAL Afghan during the January-March 2014. 3. Email your completed Beatrice Ryan Designs CAL Afghan picture to [email protected] or post your completed Beatrice Ryan Designs CAL Afghan picture to Beatrice Ryan Designs Facebook Final Show and Tell which will be held today at 5pm EST. 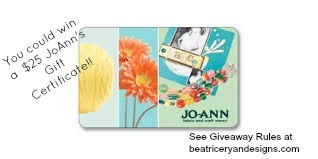 *This giveaway is donated by Beatrice Ryan Designs and has no affiliation with Jo~Anns. One winner will be drawn at random and announced here! Your final pictures will be posted here, on Facebook and Pinterest! Good luck and I can’t wait to see all the Afghans!! No I wish I did… I have always wanted to try making soap! !